This entry was posted in Christianity, Faith, Life, Love and tagged chronic pain, encouragement, God, hardships, Inspiration, Jesus, pain, Spring, winter by lyonsroarforgod. Bookmark the permalink. What beautiful and inspiring thoughts! It reminded me of “The Hymn of Promise” which says: “In the bulb there is a flower; in the seed, an apple tree; in cocoons, a hidden promise: butterflies will soon be free! 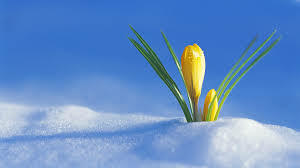 In the cold and snow of winter, there’s a spring that waits to be; unrevealed until its season, something God alone can see.” God bless you for your great and abiding Faith!